NOTE: If you are a student who is currently not a member of the CMS, please consider joining the Society for only $35 per year! By becoming a student member, you will save at least $100 towards your conference registration. If you are a non-member professional, joining the society will save you $175 in registration fees. A professional membership fee is only $95/yr. Click here for more information about becoming a member. If you are not a US citizen and your visa application is pending, you may select "check" or "wire transfer" as your method of payment so you may complete your registration. Payment may be made after your visa has been approved. If you are not able to get a visa, your registration can be cancelled without a penalty. If you want us to provide a special meal (vegetarian, gluten-free, kosher, etc), please contact the field trip organizer at freiburg@illinois.edu at least 3 weeks before the field trip event. We will leave at 7am and return by 6pm. The bus ride is approximately 3 hours one way. The trip will occur rain or shine. Please bring insect repellant and sunscreen. There will a 300-500 ft hike from the tour bus to the collecting outcrop. Digging for geodes can be very laboring. For easier collecting, we will have some of the outcrop "loosened" before the dig. Be prepared to get dirty. 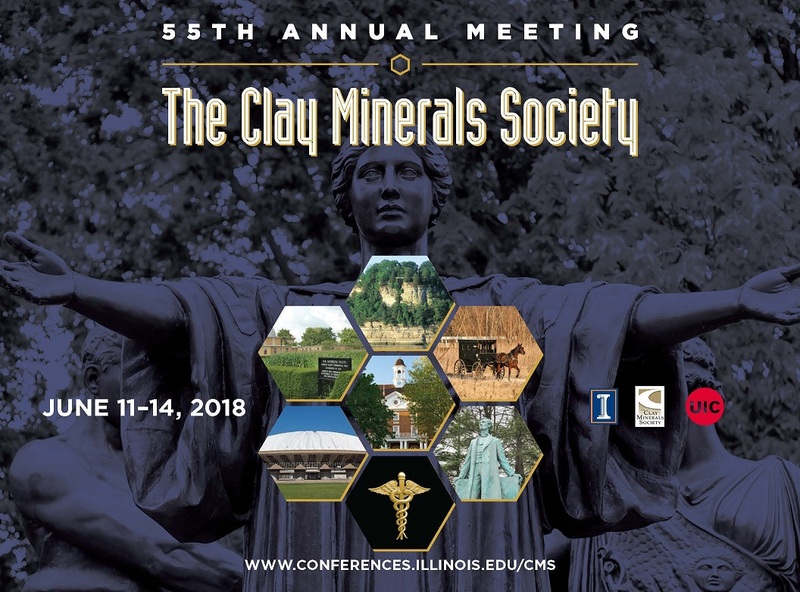 If you register for the meeting and find you cannot attend, a refund less a 10% cancellation fee, will be made if you notify Scott Randall at svrandal@illinois.edu by May 18, 2018. No refunds will be issued after May 18, but you may send someone in your place. If you have questions regarding your registration or the registration process, please contact Nancy Simpson at nsimp1@illinois.edu.